For the fourth time in as many qualifiers, Schuylkill River Exiles and Beltway Elite met in the Championship game. This time a spot at nationals was up for grabs. 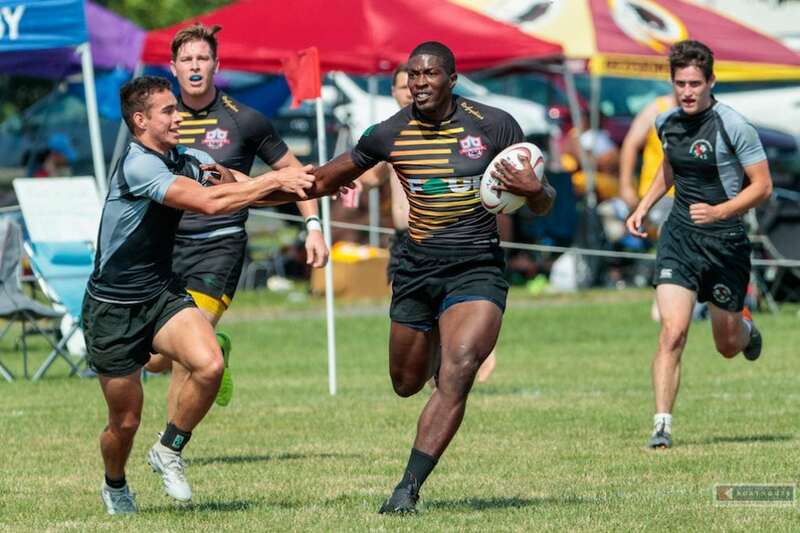 The Mid-Atlantic 7s series came to a close on Saturday as the Beltway Elite won its way to New York to represent the union at the USA Rugby Club Nationals. At the Philadelphia 7s, Beltway was matched against Schuylkill River in the final for the fourth time and outpaced the Exiles, 26-19. It will be Beltway's second consecutive appearance at Nationals where the Elite finished 14th last year. Beltway and Schuylkill have developed a rivalry recently and it showed all summer. "We've played Schuylkill River eight times in qualifiers and once at Nationals in the last two years," Beltway coach Jon Grasso said. "When that final whistle blew, all 14 guys on the field had absolutely nothing left and completely laid it on the line. We give our hats off to Schuylkill for playing as hard as it did and really think it's a shame that both teams don't get to go to Nationals." With the ticket to Nationals at stake, Schuylkill's Alex Faison-Donahoe stole the opening kickoff for the first try. Beltway responded when Joe Hughes made a brilliant individual effort to even up the tally at 5-5. Schuylkill came right back with a try from Graham Johnston, but Hughes answered with his second try to even the score. With little time left, Dave Hightower outraced the field to put Beltway up 19-12 at the half. In the second half, Beltway's PJ Komongan extended the lead to 26-12 with inside-out move. For the final three minutes, Schuylkill amped up the attack, but the defense held. The Exiles' Cody Bukowski was able to score, but the referee sounded the whistle after play signaling a Beltway championship. On the prospect of Nationals, Grasso commented, "Last summer was the first time almost everyone on the team had ever been to Nationals... Going into this year, we'll have that intimidation off our shoulders and we'll be ready to get down to business. For us to succeed, it's going to come down to how well we can do the fundamentals and the little things right." For the women, all three spots for Nationals were all but locked up prior to the tournament and the Scion Sirens, D.C. Furies, and NOVA used the event for final preparations. In the championship, the Furies upset Scion, 29-14, for its first tourney win of the summer. It was a total team effort from the Furies as eight of its eleven players scored in the tournament and in the final versus Scion, D.C. led from the opening kick as Lauran Glover (2), Maggie Olney (2), and Gloria Cho scored in the victory. "We really focused on defense and the team just came with a much different attitude defensively," Furies coach Michael McMillon said. "We know we can score with a lot of great athletes, but the defense was 100% the key. Even in the pool play match against Scion, we were playing much stingier and more aggressive on defense despite the score. Our offense matched that aggressiveness in the final." With Nationals in a few weeks, it's all about attitude and mindset for the Furies. "We are going to go into the new couple of weeks of training with the right mindset and a focus on continued fitness. Outside of that, our gameplan isn't changing a lot and we have a team that has come together as a family. As long as we keep that, we should have a great time at Nationals."